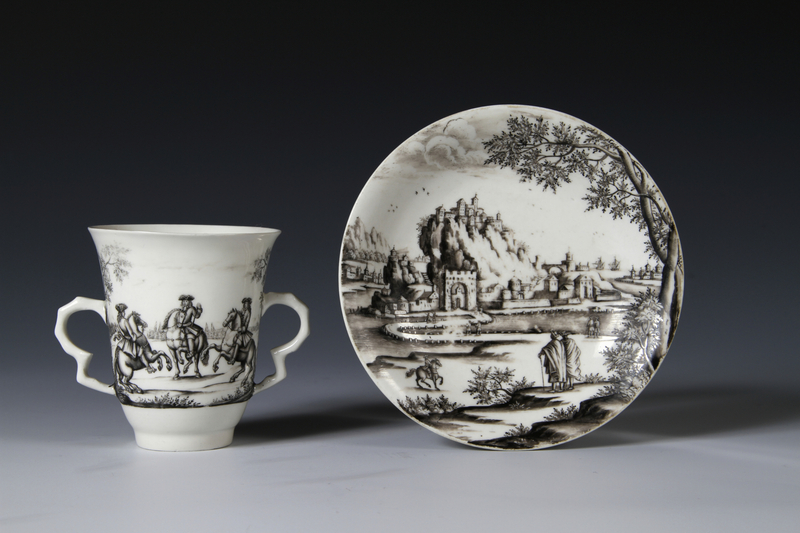 The scenes on the beaker and saucer are after engravings commemorating the military events of the War of the Spanish succession. 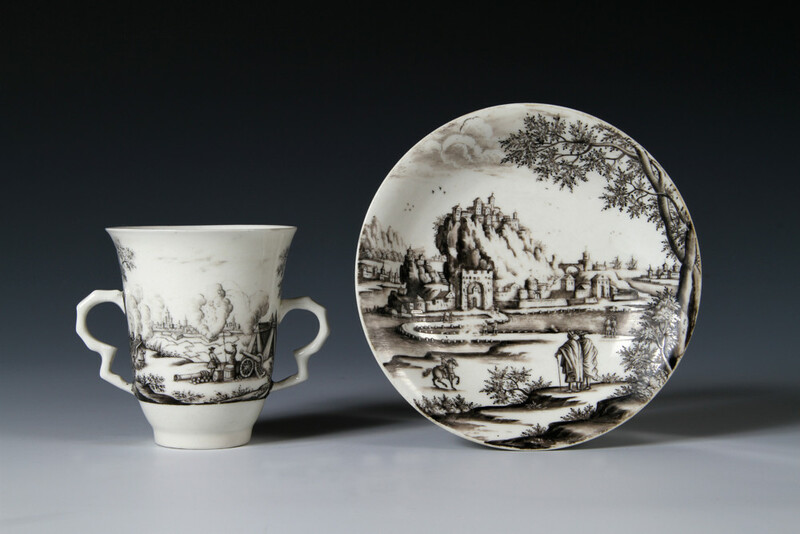 The beaker 8.2 cm high; the saucer 12.8 cm diam. Sold to Muzeum w Walbrzychu, Poland. Condition – Restoration to two cracks and associated chips on the beaker and to chips to the foot rim.